Ram Charan starrer Vinaya Vidheya Rama censor formalities have been wrapped up and has got U/A certification from the board members. The film is now scheduled for a grand release on the 11th of this month in huge number of screens. 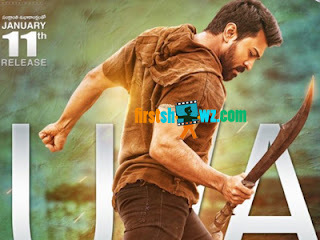 Here is the Vinaya Vidheya Rama censor report Vinaya Vidheya Rama is an out and out commercial mass entertainer with Ram Charan and Kiara Advani as the lead actors. According to censor talk, the high voltage action sequences shot on Ram Charan, Vivek Oberoi and others in the exotic locations of Azerbaijan is one of the major highlights of the film. Ram Charan and Kiara's dances in the songs are also brilliant. Also VVR is going to be a mass treat for all the mega fans who have been waiting for Charan's mass avatar from a while now. Vinaya Vidheya Rama is directed by Boyapati Srinu and produced by DVV Danayya on DVV Entertainments with DSP as music composer. VVR movie is competing with NTR Kathanayakudu and F2 Fun and Frustration at the Box-Office. We hope the expectations will live up to Vinaya Vidheya Rama censor report.